Children's at Webb Bridge is a department of Scottish Rite Hospital focusing on sports medicine and imaging services for children and teens. 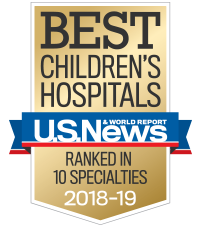 Located in Alpharetta, the expert staff of Children's Sports Medicine Program and Children’s Radiology offer state-of-the-art care and advanced technology. CT: Monday to Friday - 7 a.m. to 4 p.m.
Fluoroscopy: Monday to Friday - 8 a.m. to 3 p.m. Lab draw services: Monday to Friday - 7 a.m. to 7 p.m.
Saturday - 7 a.m. to 2 p.m.
MRI: Monday to Friday - 7 a.m. to 7 p.m.
Sedation: Monday to Friday - 8 a.m. to 3 p.m.
Ultrasound: Monday to Friday - 7:30 a.m. to 7 p.m.
X-ray: Monday to Friday - 7 a.m. to 7 p.m.